This is the most famous day of the year that is celebrated on in the United States. This day unites all Americans on the Fourth of July. But what is Independence Day and what is the history behind? Well, read on and I will explain it all to you. And I will also show you how you can trace your American ancestry. Independence Day as the name suggests is the anniversary of when the United States declared independence from Great Britain in 1776. The war between thirteen colonies and Britain began a year earlier in 1775, and would go on for a further 8 years until 1783. This post as I mentioned at the beginning explains the history of America’s War of Independence. It is not the Will Smith film Independence Day, or its sequel Independence Day Resurgence. Why Research Your Military Ancestors? Before I continue to explain how this conflict all started let me just ask you a couple of questions. Do you know whether you have any military ancestors in your family? Do you know any of their stories or how they contributed to any war of conflict? The reason that I ask is because I am ‘obsessed‘ with finding out all that I can about my ancestors. This goes from when and where they were born, to their adult lives and ultimately when and where they died. There are many sources of information that are in our homes. Or, we can ask older family members or friends who knew our ancestors. These are just a few of the free options that are available to us. Ancestry can help your search! If you are well on your way to discovery your family tree then you can check out the Ancestry website. There are directories and registers that you may not have explored yet. But also this genealogy site includes military records where you maybe able to find your own family. Why not find out about your military ancestors today and add their story to your family history. The British started to colonize America as early as 1607. Their first permanent settlement was at Jamestown in Virginia on the eastern coast of the United States. There had been colonization of America beforehand but not as important as the British settlement. The American Revolutionary War, or sometimes referred to as the American War Independence, began in 1775 when thirteen colonies revolted against the British. They were opposed against the royal authority that had governed their lives. These colonists, were referred to as Rebels, Revolutionaries, and American Whigs. You may also have heard of the term Patriot, which means a person who defends their country against enemy forces. There is even a holiday known as Patriot’s Day that is celebrated in the states of Maine and Massachusetts. There were fights and boycotts even before the war began in 1775. One of the most famous incident of all you may have heard of, the Boston Tea Party. This incident occurred in 1773 when a shipment of tea arriving at Boston was set alight. War began on April 19th 1775 when the British tried to seize munitions that the state of Massachusetts possessed. The British were however not successfully in their mission and so were forced to evacuate their troops after a 10 month standoff. Signing the Declaration of Independence! The Continental Congress secretly voted for independence from Great Britain on July 2nd 1776. It would be two days later on July 4th that the final wording for the Declaration was approved and published. Then on July 8th the Declaration was publicly read out for the first time. You maybe surprised to know that this document was not signed until a month later on August 2nd. A century later in 1870 Independence Day was made a federal holiday. It was however unpaid. Then in 1941 workers were finally paid for this time off and to celebrate a time in American history. Two United States Presidents who signed the Declaration of Independence died on July 4th. They were Thomas Jefferson and John Adams, both of who died the same year 1826, which was 50 years after they signed the document. What Can You Do On Independence Day? John Adams wrote to his wife Abigail on July 3rd 1776 that this date in U.S. history would be celebrated with “pomp and parade, with shows, games, sports, guns, bells, bonfires, and illuminations“. It would not be until 1791 however that the term Independence Day would be used. Independence Day is a day of celebration for Americans. You can expect to find people celebrating with family and friends at picnics and barbecues. There are also traditional watermelon and hotdog eating competitions, two of the most famous food offerings in America. You can also expect to find many sporting events to take place on this special day. These range from baseball, swimming activities, tug-of-wars games and even three-legged races. Independence Day is also a patriotic time for Americans as you will see many American flags proudly being flown. You will see these from government buildings, people’s houses and also people wearing them on T-Shirts and caps. There will be many firework displays put on for the public on this day as well! You will see many politicians appear at events such as this to show appreciation for American history and its heritage. For the American people this is a day for them to give thanks to their forefathers who gave them freedom and liberties that they have today. 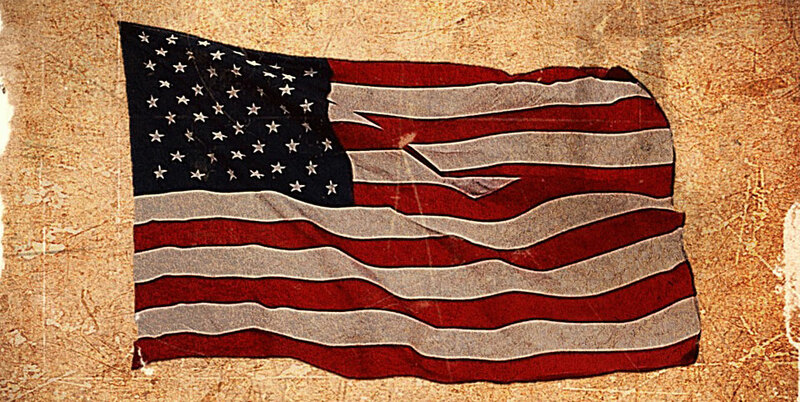 Whatever you do decide to do on this special day I do hope that you take time out and think about the history and the formation of the United States. Who knows maybe one of your ancestors fought in the American War of Independence and helped to build the country we know today. That would be a great story to tell our children and our grandchildren. 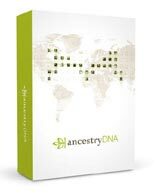 Talk to your relatives and discover your ancestry! If you do decide to spend this time with your family then may I suggest you take this opportunity and ask your older relatives about your ancestors. Maybe they have some fascinating stories that you could record. If you do not do it then who will? If you do want to find out if you have any military ancestors in your family then why not check out the the Ancestry website. There are 20 billion records that you can search through. And there are more being added all the time. I have always been astounded as to what I will find out when using Ancestry, or any other genealogy site for that matter. That is the beauty of genealogy. You just don’t know who you will discover and what their story will be. You just have to start looking! Why not head on over to the Military website to uncover more about this special day. I hope you enjoyed this post giving you a guide as to what Independence Day is all about. If you have any questions or comments then please leave a comment below. Hi Owain, thanks for the great write up! I found it very interesting, especially the part about the early colonization in Jamestown. I noticed that there is a new TV series starting based on this moment in history. I have seen it advertised but the Jamestown name didn’t mean anything to me until I read this article. It’s a good idea to search for ancestors in military collections too, being British I am sure I must have some ancestors in there somewhere. Is this military collection only containing British ancestors? I feel that it is important to find out as much as you can about your ancestors. And there is just so much out there that you can find out about the. The Ancestry website can lead you to U.S. or U.K. records. Click on the link and it should ask you where you want to go depending on your geographical location. My older sister has done a little research in our family tree. I am going to share your site and resources with her maybe they will help her out. I would really like to know more about my family tree. 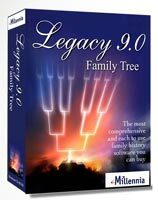 There is plenty on my site far that will help your older sister sresearch your family tree. I wish her all the best. And thank you for sharing my site. Finally I have found out the origin of Independence day in the USA. As I’m from Australia, we see it a lot in movies but it is rarely explained. I can see why this is such an important day to celebrate. Thanks Owain for this great bit of knowledge. I am glad that I could have enlightened you Vince. There is just so much history to America and all its days that they celebrate. You may be interested in a couple of posts that I have written about two days that are ANZAC Day and Australia Day I hope that you can check them both out. Yes I do have military ancestors and I have from research many years ago found out why I should be proud of my Name sake. I am glad to hear that you are proud of your military ancestors. We should all be proud of our ancestors know matter what they did for a living. We wouldn’t be here today I feel it wasn’t for them. If even one pair of ancestors did not meet then we wouldn’t exit today. Makes you think, hey? Hiya, This is a brilliant post and thanks for giving me a history lesson on this. It’s kind of very similar to how we got our independence from Britain in 1922 but you are the first to achieve this. I like the idea on how you are getting true stories from ancestors of older generations of American people so that they can pass it on to future generations on what needs to be told. Thank you for appreciating the history lesson. I am glad that you learned something from it. It is important for me and everyone to collect and record these stories before they get lost forever. I realized relatively young that I should do this with my own family’s stories that my father passed on to me. If you or anyone with Irish ancestry is interested in finding out about their Irish heritage then this Irish Genealogy Mega Collection will interest you. Great post on the most important American holiday, I learnt a few new things about it in reading this article, well presented. There is just so much history that we just don’t know or we just forget it over time. Thank you for sharing this important piece of American history with us. Thank you for enjoying the post. I like to inform people about days such as this. There is just so many that I have covered so far on this site. So far I have covered topics such as genealogy, military, origins of holidays, religious days, and also special family days. Please check them out as they are quite informative.